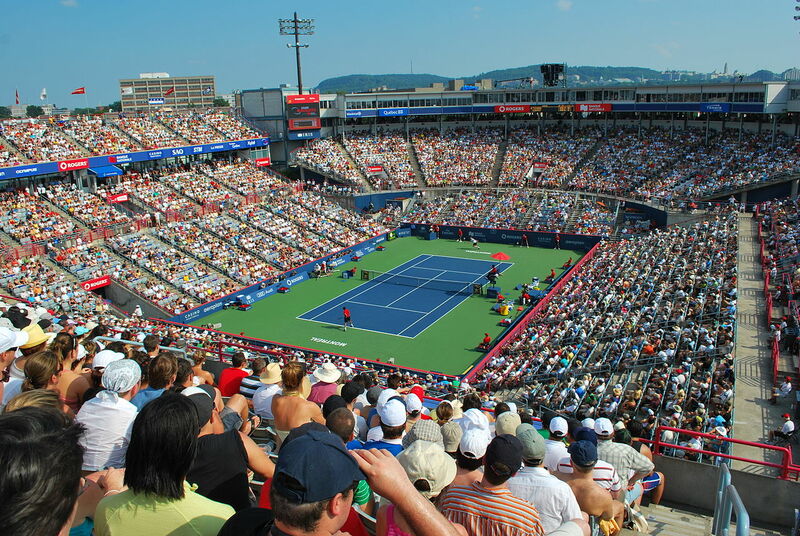 The 2016 Rogers Cup tennis tournament on the WTA circuit for women players is taking place this week from July 25-31, 2016, on the outdoor hard courts at the Uniprix Stadium located in Montreal, Canada. Here is a list of the prize money up for grabs for the women singles tennis players at the 2016 Rogers Cup. The Rogers Cup is a Premier 5 Tournament event which ranks it below the Grand Slam tennis events for women players. The prize money up for grabs for the women singles tennis players at the Rogers Cup is pretty good but well below what they can earn at the Grand Slam tennis events. The winner of the 2016 Rogers Cup will earn a nice paycheck of $497,700. That is up 9.2% over the $456,000 that Belinda Bencic earned when she won this tournament last year. The runner-up at the 2016 Rogers Cup will earn $241,840. That is up 6.2% over the $227,640 that Simona Halep earned as the runner-up in this tournament last year. Reaching the semis in the 2016 Rogers Cup is worth $121,150. That is up 8.2% over the $111,940 that Serena Williams and Sara Errani earned when they reached the semis last year. Reaching the quarterfinals is worth $57,960 at the 2016 Rogers Cup. That is up 10% over the $52,430 that players earned by making the quarterfinals last year.